With more and more reviews pouring in for X-Men: First Class (including one from our own Katey Rich), excitement is at an all time high. The Matthew Vaughn-directed film currently has 20 reviews on Rotten Tomatoes and has a 100% rating. Of course someone is eventually going to bring that number down, but for now comic book fans are pumped for the first quality X-Men movie since X2 in 2003. So what better way to celebrate the proximity to the film's release (it comes out this Friday) than by doing some skywriting? 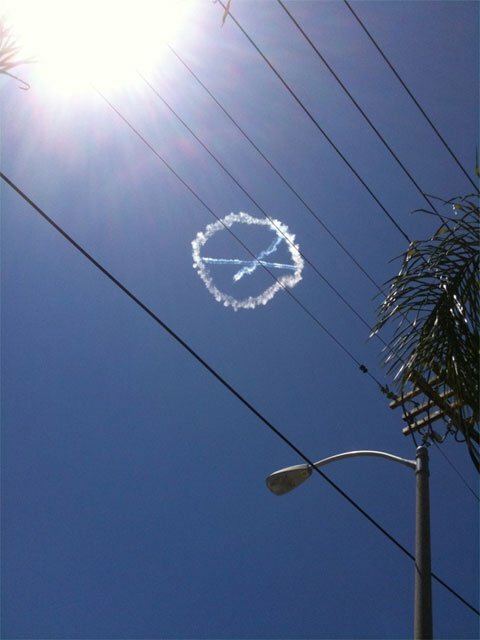 Bleeding Cool has discovered that 20th Century Fox has hired pilots to fly around the city of Los Angeles to draw the X-Men symbol in the sky. According to the story, there are no less than eight drawings in the clouds. I'm not entirely sure what skywriting has to do with X-Men: First Class - I'm not seeing the film until tomorrow evening - but it's a pretty cool marketing stunt nonetheless. 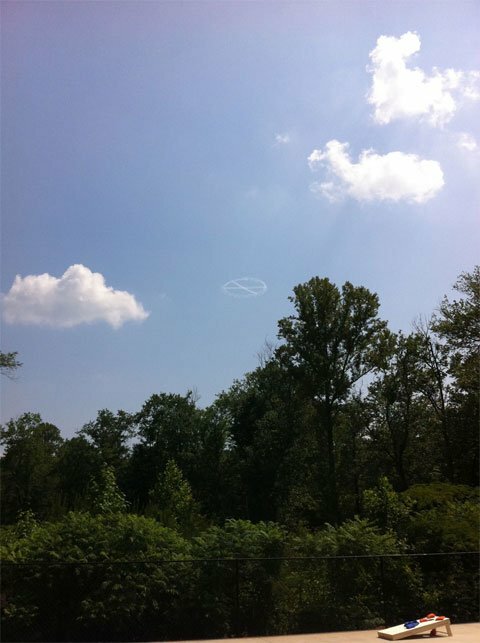 Check out a video of the skywriter as well as some images below and head over to Bleeding Cool for more.